When: Sat., April 27, 7-9:30 p.m.
Our Library Murder Mystery Night features a funny whodunnit with local flare. Tickets are $35 and include 2 drink tickets and hors d'oeuvres/dessert. 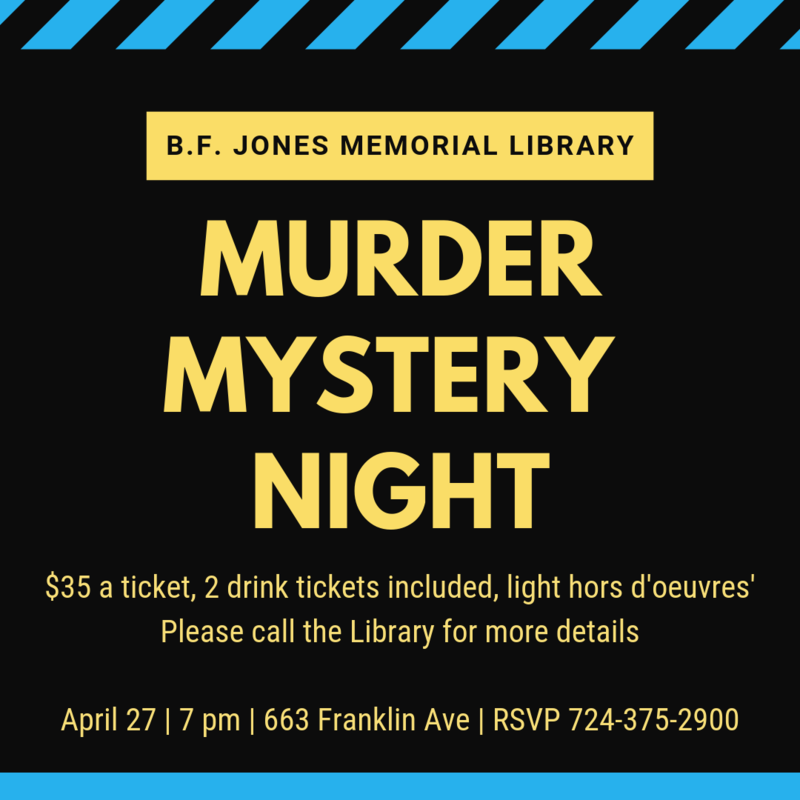 Enjoy the evening of mystery and comedy against the historical backdrop of the library which is a 15,000 square foot National Historic site built in 1929 in the Renaissance Revival architectural style.